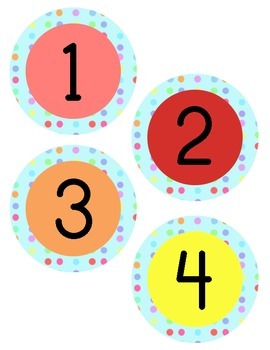 Precious polka dot number labels! 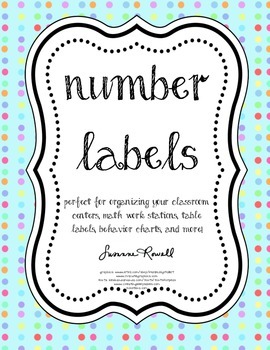 Perfect for organizing your classroom, centers, math work stations, table labels, behavior charts, and more! 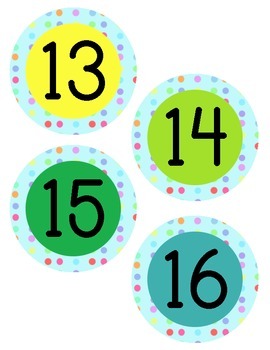 Includes multi-colored numbers 1-30 in a large and small size. 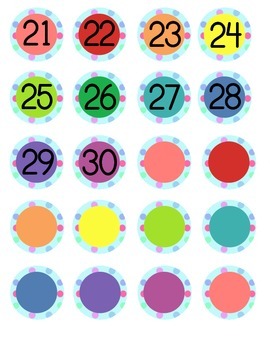 Blanks included!